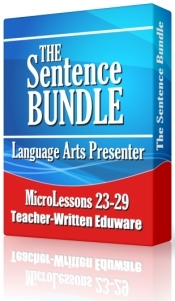 The Sentence Bundle is now available for the much lower cost of $16.95--a savings of over 50%! 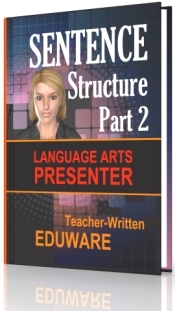 The purpose of the rest of this page is to describe in more detail what comes in The Sentence Bundle. There is also good news for Mac Users. Each of these MicroLessons will run on all of the most-widely used web browsers, including Internet Explorer, Firefox, Chrome, and Safari. As a result, you may access them from all versions of Mac AND Windows! recognize that the purpose for speaking or writing determines the type of sentence used. 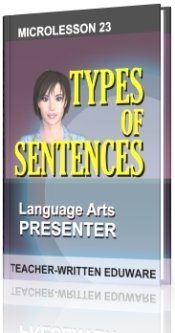 list and define four types of sentences. select the appropriate end mark for each type of sentence. distinguish interrogative sentences from indirect questions. recognize that imperative sentences may end with a period or an exclamation point. correctly categorize 15 sample sentences. recall the definitions of simple and compound sentences. identify and distinguish dependent and independent clauses. identify the two parts of a complex sentence. recognize that dependent clauses may appear in any portion of a sentence. recognize the purpose of subordinate conjunctions. 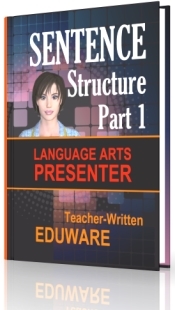 name at least six examples of subordinate conjunctions. identify the three parts of a compound-complex sentence. distinguish complex and compound-complex sentences. define sentence and run on sentence. list the three end marks. list at least four examples of coordinating conjunctions. recognize that when a coordinating conjunction is used to connect two sentences, it must be preceded by a comma. recognize that a semicolon can connect two sentences, but a comma cannot. 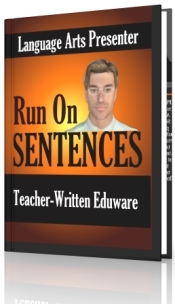 list four ways to correct run on sentences. recognize that sentence fragments are incomplete sentences. 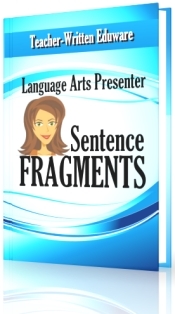 recognize that a fragment can be caused by a missing subject, predicate, or both. correctly distinguish sentences and sentence fragments when presented with example groups of words. choose appropriate corrections for sample sentence fragments. 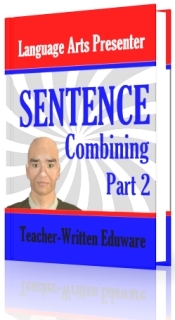 list at least five additional methods for combining sentences. 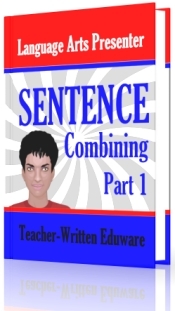 write ten combined sentences using any of the five methods presented in this MicroLesson. If you have questions, comments, or suggestions for future MicroLessons, please take a moment to let me know what's on your mind. And, as I often say, best wishes to you and your kids! Language Arts Presenter: The Sentence Bundle by Chad Manis is licensed under a Creative Commons Attribution-NonCommercial-NoDerivs 3.0 Unported License.